Time is this month's theme on City Daily Blog this month. 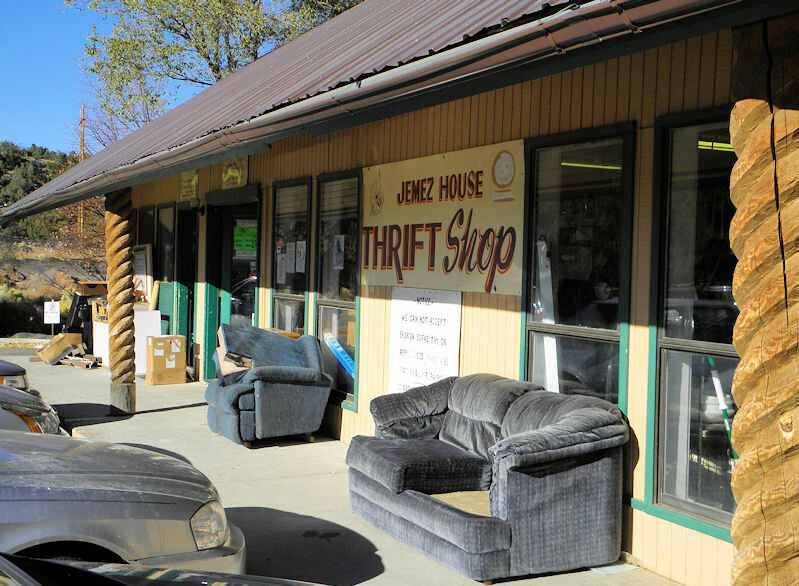 Many volunteers donate their time at this busy thrift store. Very busy Jemez House Thrift Store is located in White Rock. $5 bag day is especially busy. It's amazing, the things can be found here, all for a good cause. Thrift shops are great fun! My Mom likes to hit the thrift shops. She'll be happy next visit because we have several more than last time she was here. I'd like to see someone try to fit that couch into a bag on $5 bag day lol.